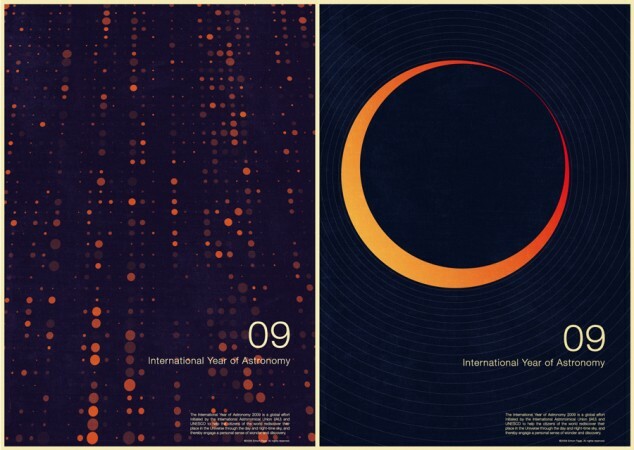 File under "Designer | Entrepreneur", these International Year of Astronomy 2009 Posters seen at simoncpage.com by UK designer Simon Page are an excellent example of what is becoming more and more common. That trend being designers creating work originally for themselves or to bolster their portfolio only to find enough interest online to sell the work. "Spec Work" is still nearly universally decried as a big no, no, but this trend is something new. Apparently Mr. 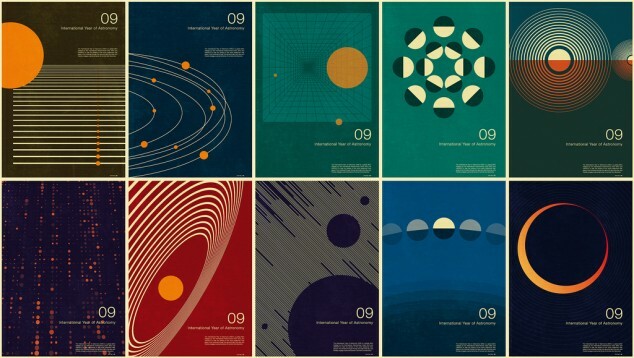 Page created the posters and had enough inquiries that not only was he able to print and sell them through his Web site, but also caught the attention of the International Year of Astronomy organizers who've asked to use some of the pieces in their promotions. This isn't exactly "owing the content" as Chip Kidd might describe it, but more of what we'd call a "Glenneuver". A "Glenneuver" was first coined when we worked in Ottawa. A friend and fellow designer, named Glenn, had the annoying habit of delivering great work and then some. He would occasionally see greater potential in a project than the client had originally seen and would deliver a tantalizing taste of what could be. After some thought, the client would agree and ask for more work. This maneuver was usually only done when Glenn felt really interested in or passionate about a project. Technically the work was speculative, but he never lost sight of the original goals and always made clear the idea may involve more design time (thus extending a contract beyond its original intent, schedule and costs). A crafty move for a clever design: a Glenneuver.